A British humorist and Science Fiction writer, most renowned for having written the first five books in The Hitchhiker's Guide to the Galaxy "trilogy", the Dirk Gently series, and several Doctor Who stories starring the one and only Tom Baker. A really hoopy frood, he was really fond of deadlines (he liked the whooshing sound they made as they flew by) and always knew where his towel was. His interests included evolutionary biology, software technology, Apple computers, the music of Pink Floyd, Bach, and The Beatles, and SCUBA diving. He was involved in a BBC radio production (and then book) with Mark Carwardine called Last Chance To See, where he made his case for the necessity of biodiversity and the need for conservation initiatives. He also considered himself a radical atheist, but the "radical" bit was just to show people that he was serious about it (as opposed to merely being agnostic), not because he was intolerant or aggressive. If ever a human being was Too Cool to Live and Too Good to Last, it was him. Hitchhiker was constructed in a typically Adams fashion -- he was notorious for cribbing from his own previous works, and a good many aspects of Hitchhiker had been put to paper in some form (mostly Adams' own plays and unpublished short stories) before the series itself was conceived. 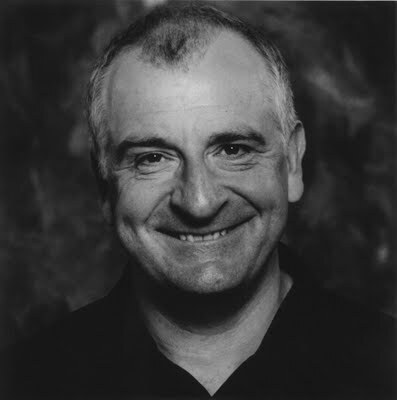 Douglas Adams died of a massive heart attack in a gym in Santa Barbara, California -- where he had a home -- on May 11, 2001. Because of where he was at the time, Adams actually was carrying a towel when he died. Many of his fans find this to be very bittersweet. Adams has been honored with an asteroid, named in his honor (25924 Douglasadams); the asteroid's prior designation (2001 DA42) is notable in that it coincidentally carries the year of Adams' passing; his initials; and the Answer to Life, the Universe, and Everything. Adams would quite probably see such a coincidence as solid proof that the universe has a sense of humor. See the article on The Other Wiki for more. Brick Joke: Douglas was infamous for these. It could be several books before he finally dropped the punch line. Ridiculous Procrastinator: Adams was notorious for turning in scripts late, and during his time as a novelist would often go off to start other projects to get out of finishing the ones with deadlines coming up. It got to the point where his editor took to locking him in a hotel room with nothing but a typewriter when worse came to worse. I love deadlines. I love the wooshing sound they make as they fly by. Self-Plagiarism: Most of his Doctor Who stuff eventually migrated its way into his novels. Life the Universe And Everything contains elements of The Pirate Planet and one of his rejected scripts, and Dirk Gently's Holistic Detective Agency carries over a character from Shada and an entire plot thread from City of Death. Temporal Paradox: Played with constantly in both the Hitchhiker and Dirk Gently series. Unfazed Everyman: The trope used to be known as the Arthur Dent, and it is still used as a redirect. ↑ Actually, he didn't. That was where the joke came from: he could never, ever find his towel, and figured that it was probably symptomatic of the general disorganization of his whole life. Anyone who actually knew where their towel was, he reasoned, would have to be a really together person.